If you're looking to work abroad, several things may up your chances, including your education, your foreign language proficiency, and of course, the hiring rates of the country you're planning to work in. Asia is definitely where it's at. Taiwan has increased their hiring percentage due to its fast-growing tech and finance fields. In fact, some Taiwanese companies have been directly hiring Filipinos through government-to-government employment schemes, which don't seem to be slowing down any time soon. 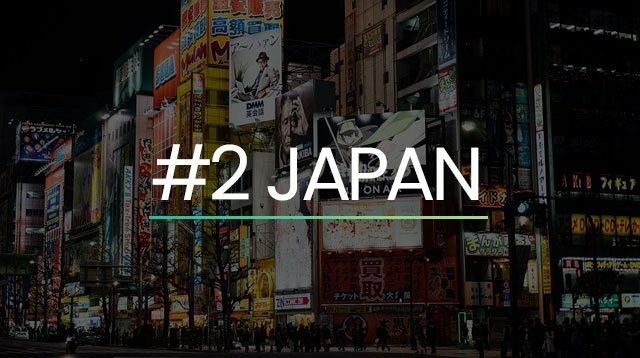 The sleepless cities of Japan such as Tokyo are hubs of technology, and embody a unique and "vibrant corporate culture" that easily draw in investors. Many Filipinos will find good opportunities in this Asian neighbor, as according to a recent Philstar report, Japan and the Philippines have signed a social security agreement that gives Pinoys and Pinays working in Japan "access to benefits for sickness, maternity, paternity, occupational diseases, invalidity and old age as well as survivor's pentions." However, the POEA has also temporarily stopped the recruitment of caregivers to the said country until the 2016 Technical Intern Training Act of Japan has fully taken effect. So if you're a caregiver, it's best to approach POEA or a legit employment agency to confirm the agreement's status before heading out. While Britain's exit from the European Union caused Western Europe to slow down their hiring rates, the countries in Eastern Europe have grown more confident in expanding their businesses. Slovenia is one of them. Full of picturesque towns and castles, it may not be the first country that comes to mind in terms of foreign employment, but it’s definitely worth exploring! Considered to be one of the world's fastest growing economies, India is continuously breaking borders to hire workers in professional services and manufacturing. Did you know that Hungary is one of the countries in Europe with the lowest taxes and cost of living? The good news is that Hungary has once again opened an embassy in the Philippines, and both countries have just signed several economic and trade agreements, which hopefully means more opportunities for Filipinos.